When we last left Saul Goodman (or should I say, Jimmy McGill), he was awaiting his transfer to the sweet life of being the manager of a Cinnabon in Nebraska. Now, a little more than a year after we left ABQ, we’re back with Saul, in his post and pre Heisenberg life. When we first check in with the shifty lawyer in Better Call Saul, he’s living the life of the aforementioned restaurant manager in Nebraska. And it’s depressing. Maybe it’s the black and white. Maybe it’s the song (“Address Unknown” by the Inkspots), but whatever it is, you feel bad for the guy that you already know to be slimy and duplicitous. Truly, a Cinnabon looks like the waiting room for this guy’s death. But if his ultimate fate isn’t depressing enough, Better Call Saul brings us back to the start, back when Saul was just ambulance-chasing Jimmy McGill, saddled with unsavory public defense work, an office in the back of a nail salon, and a former hotshot attorney brother, now house-ridden by an apparent sensitivity to electromagnetism. 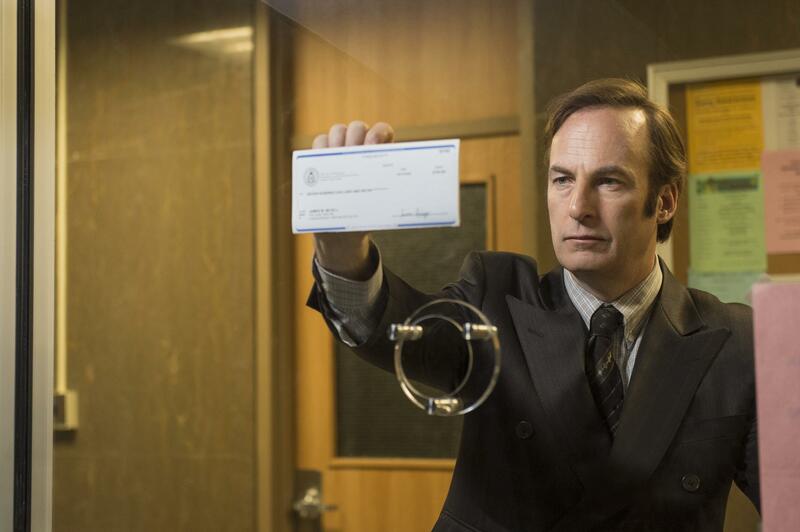 The bookends of the Better Call Saul practice are bleak to say the least, but with Bob Odenkirk, there’s always a sense of optimism; maybe it’s because we know the depths he’ll go to in order to get him and his client money. This episode is a great start to the series. It is, in itself, a self-contained story; Breaking Bad isn’t necessarily required viewing, but even so, the subtle cameos of those we meet later on in the timeline are rewarding for the viewers. It’s great to see Jimmy and how he became the man that we came to know as Saul and how that scheming nature of his was born into a law practice. Here, we watch Jimmy enlist the aide of two skateboarders who tried to scam him out of $500 earlier in the episode in order to win favor of a potential client. But in the end, his scheme doesn’t go according to plan, and he runs into someone that we’re going to become quite familiar with. A fantastic start to a series I’ve been eagerly awaiting. 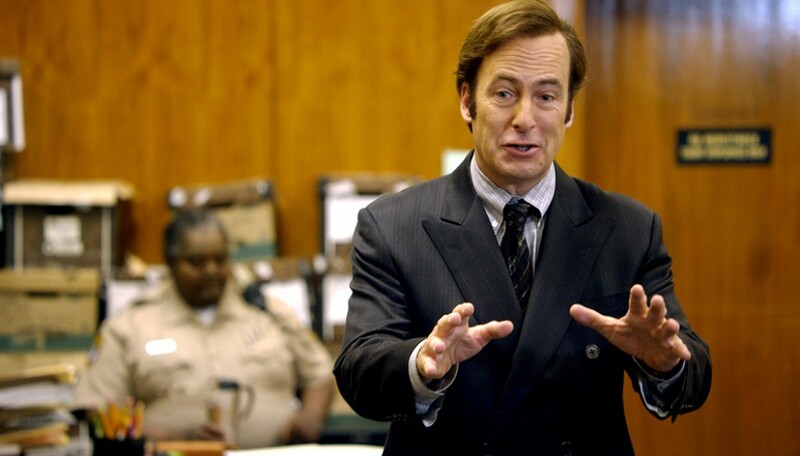 A lot of the charm is just how much attention to detail Vince Gilligan puts forth, not to mention the performance by Bob Odenkirk, who just throws himself into the role completely. From what it appears, this is going to be to Breaking Bad what the Fargo TV series was to the original film: a story that exists in the same world, but more of a companion piece than a sequel/prequel/spinoff.